In my last Memory Lane post I showed you a photo of myself when I was a newborn baby. The comments overwhelmingly said that I was very small. And indeed I was. I was premature and weighed about five pounds in that picture. According to my father, he could hold my whole little self in one of his hands. And dear old dad is not a big fellow. But lest you worry, it did not last. In fact I got so fat by my first birthday that I could not walk. My thighs were so chubby that they prevented me from putting my legs in the proper position to stay upright. My pediatrician put me on a reducing diet. At least that is what my father tells me. Do you see Elisabeth in this picture? Sometimes I see her face and sometimes I think I just imagine it because this baby looks nothing like my Ellie. This is one of the very few picture of me that survived my parents divorce. I just love it. Especially because my father took it in a park across from our apartment. My mother would often take me and my brother there to play. We moved from that apartment to the country the year I was two. So, I don't really remember it...just the stories. 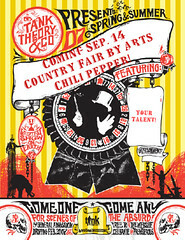 Don't forget to click on the button to read about the Country Fair coming to Art's Chili Pepper! How sweet that picture is of you, Kat! When I saw it, I thought it was one of your children until I started reading. It amazes me how much we look exactly what we are going to look like when we get older. You were an adorable baby and as I have told you before, you are a beautiful woman. You were chubby, but a cutie. Look at all your hair. Wow! 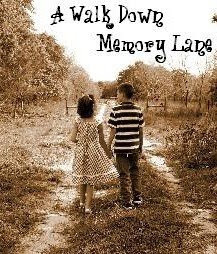 Thank you for sharing some of these precious moments from your childhood. I love the innocence that is captured in this photo. I bet it would look great as a black and white rendering! PRECIOUS! You are STILL a beautiful young lady! Awwwwwwwwwwwwwwwwwwwwwwwww, look at all that HAIR! I had the baldest babies... and I too was a baldy! Great pictures! My son Shane was one of those incredibly fat, therefore, incredibly cute babies too...I love it! Oh my gosh....I love that photo! Look at your adorable face, and that hair! WOW! Don't you just love memory lane? I sure do. You certainly a sweet beautiful baby girl and oh so serious in that photograph. Goodness! You were a big girl with lots of hair. Darling though..
Glad you have this picture. 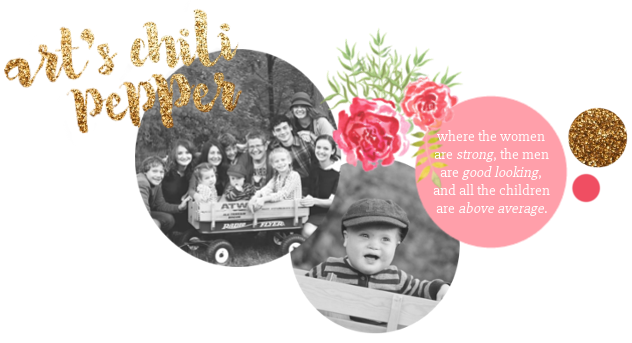 I have read several blogs where people say they don't have many pictures of themselves as a child whether because of a divorce, move, natural disaster or something. I know you cherish this picture! oh, this is such a precious photo! What a fun meme too! Great story, thanks for sharing. Oh you were (and still are!) so cute...and yes I do see Elizabeth in that picture as well!! Oh, my goodness, are you adorable! I love your hair, too. My babies, especially the boys, are so chubby and cute. I love it! Yes, I clealy see Moo Moo in this picture. I think a little Poppop too but I'm not sure. It's hard to see you so fat in this picture when later you were so tiny....backwards of Ellie huh? Oh my how cute! What a sweet picture! I think it's HORRIBLE though that the doctor put you on a diet! How terrible! You don't look "fat" at all, in fact you look very healthy like a baby should look and some babies walk late anyway. I think it is awful to call babies fat in a way that insinuates that it means the same thing as for an adult to be fat. What Do I Need Manners For?